Google Chrome, is the famous web browser and serious competitor to Mozilla Firefox, integrates thousands of extensions of all kinds and often very practical. So today I decided to help you, fans of the Google search engine, offering you 6 Google Chrome extensions for improving your search results. Google Quick Scroll is an extension that helps you quickly find what you are looking for on Google. When you click a search result, Google Quick Scroll appears in the lower right corner of the page to display one or more extracts of the content of a page related to your search. Click on one of these extracts to reach the section. 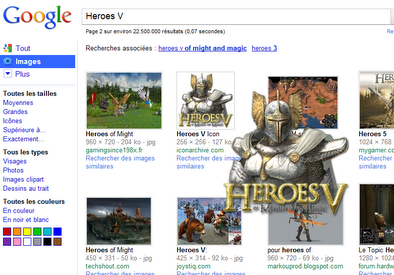 This extension has the following basic effect on Google Image Search. When the mouse comes over a miniature in Google Image Search, the image is displayed in its full size right next to the cursor in a box. When the mouse is no longer on the miniature, the box simply disappears. The extension previously known as GooglePreview. SearchPreview adds preview images (thumbnails) to your Google search results. 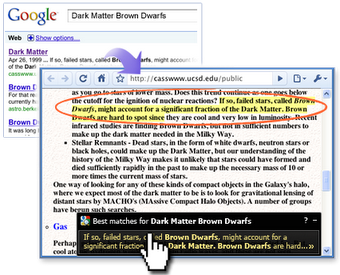 The extension adds Search Preview on the left, surveys the various sites listed in Google search results. No need to click on the site in question to see in a flash and without the mouse over it, how it looks and what it contains. 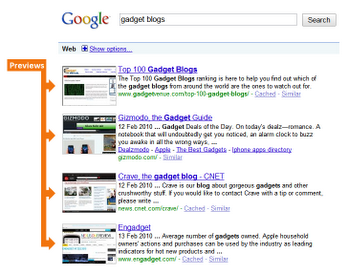 Save time by adding logos of top sites to search results. This way you can easily identify familiar sites while using Google search.You can easily identify the sites while using the familiar Google search. The extension supports the best sites and brands worldwide, including 1000’s most popular Web sites. This extension allows you to initiate a Google search using any image on the web.When you search by image, you will see the results corresponding to this image and similar images. You can see web pages containing the desired image or find one similar in different sizes. What about you guys, which Google chrome extensions you are using to improve your Google searches?